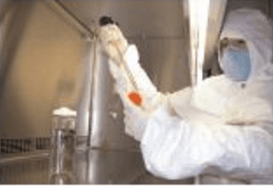 Simplex Isolation Systems is one of the most prominent names in modular cleanrooms, softwall curtains, strip doors, separation and process isolation, and hot aisle and cold-aisle isolation in data centers. Find out what NASA, JPL, Raytheon, Mercedes-Benz and many others already know — Simplex offers the best solutions for controlled environments. 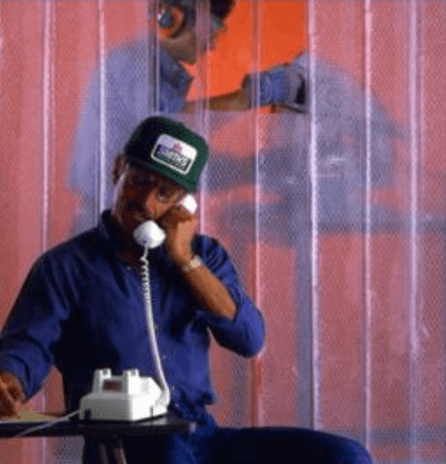 Since 1979 our innovations have set new standards in modular, expandable cleanroom components, industrial enclosures, isolation curtains, hardware and new product development. The hallmark of Simplex products is innovation and performance. We offer unique features such as the bonded bead design, modular construction, and materials that are fire-resistant and protect against electro-static discharge. We set the standard in the industry. Use Simplex enclosures to create critical environments for controlling dust and other contamination. Choose from Simplex’s complete line of hardwall and softwall enclosures when creating facilities for clean assembly and packaging, pharmaceutical compounding, tool enclosures and much more. Simplex can make cleanrooms for any application and ISO cleanliness rating. If you need to upgrade or expand your enclosure, you can easily do so with the purchase of additional components. Simplex designs and manufactures PVC strip doors for the smallest applications: a personnel door in your manufacturing area or walk-in cooler, to the largest applications: guarding the warehouse and loading dock doors of your facility. Simplex can supply a strip door for any environmental or temperature control application. 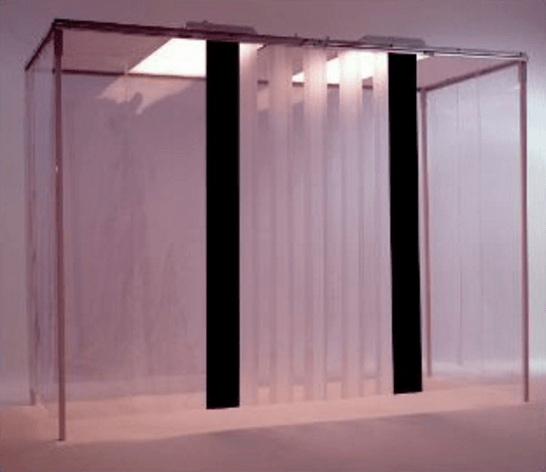 Simplex offers PVC softwall curtains for all applications, from cleanroom curtains for laboratories and high-tech manufacturing, to industrial PVC curtain walls for separating workspaces, to refrigeration curtains for energy efficient temperature and humidity control. All of our curtains are based on the same winning combination of design and materials, made to order for infinite capabilities. All Simplex cleanroom vinyl is made from virgin compounds, no recycling. Resists yellowing, cracking and curling. Increase capacity in your data center with lower, more stable temperatures. 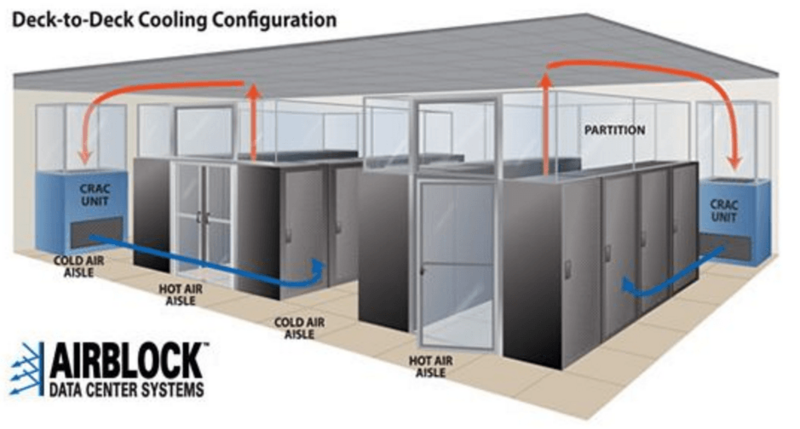 Simplex’s complete line of AirBlock™ data center curtains, modular partitions, ceilings, strip doors and mountings offers hot aisle/cold aisle isolation solutions for any data center configuration. Curtain materials include PolySim, a proprietary material from Simplex which meets and exceeds the new NFPA 76 data center standard and the ASTM E-84 standards and is Class 1 fire rated, with the lowest smoke and flame spread ratings available. Since Polysim uses high molecular weight materials, its static dissipation properties do not wear off or diminish over time like coated anti-static vinyls do. Also available in FlexSim FR, only available from Simplex. FlexSim is the only domestically-made clear vinyl to pass ASTM smoke and flame tests, and is formulated to meet U.S. and European requirements for an environmentally friendly PVC. For manufacturing engineers and plant managers the GatorJaw Framework System redefines versatility. 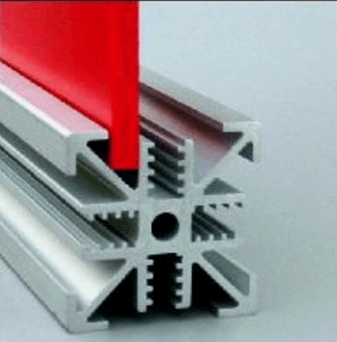 This high-quality aluminum extrusion incorporates a one-piece fastener (none of those cumbersome T-slot inserts) with the patented square-thread design. The fastener tightens down with a quick turn using the GatorJaw tool, included with every purchase. The serrated teeth on the bottom side of the fastener bite in to hold tight. Use GatorJaw to fabricate machinery guards, enclosures, safety screens and barriers, work stations, tables, carts, in-plant divider walls and conveyor covers. You can easily change your design to meet changing needs on the factory floor. 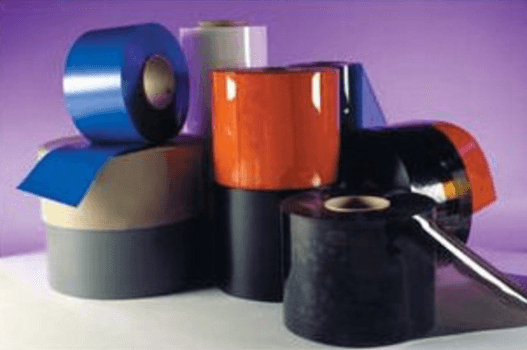 Simplex has always been on the vanguard of development when it comes to PVC materials, from the most basic vinyls strip materials, to those applications that need static-resistant properties and even fire-rated vinyls. All Simplex vinyl softwall materials are fully tested. Test results are available for fire retardancy, ESD, outgassing, sound abatement, chemical resistance and light transmission. Materials include: Standard Vinyl Compound; Solid, Opaque and Tinted Colors; USDA and Super Low Temperature Vinyl; Static Dissipating Anti-Static Vinyl; PolySlim 509; FlexSim. Simplex has designed unique array of strip door and curtain mountings that allow you to customize your enclosures and barriers. 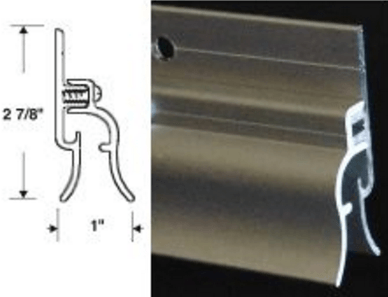 All mountings, with the exception of FlexTrack, are extruded from 6063-T5 aluminum and come in standard anodized clear coat. Other clear coat colors are available by special order.